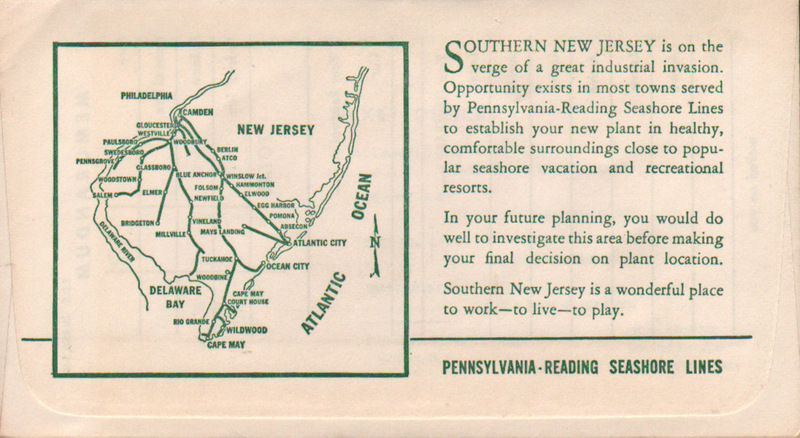 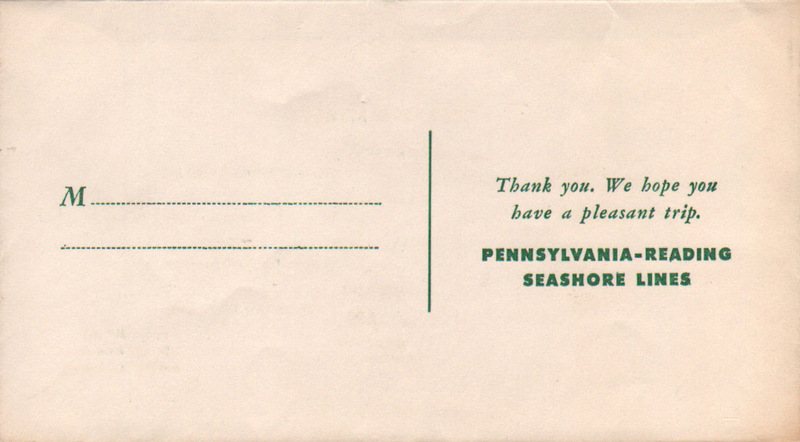 Description Pennsylvania-Reading Seashore Lines (PRSL) Railroad Form P.D.S. 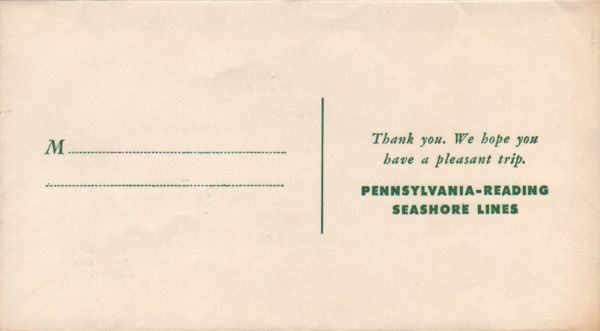 30 REV. 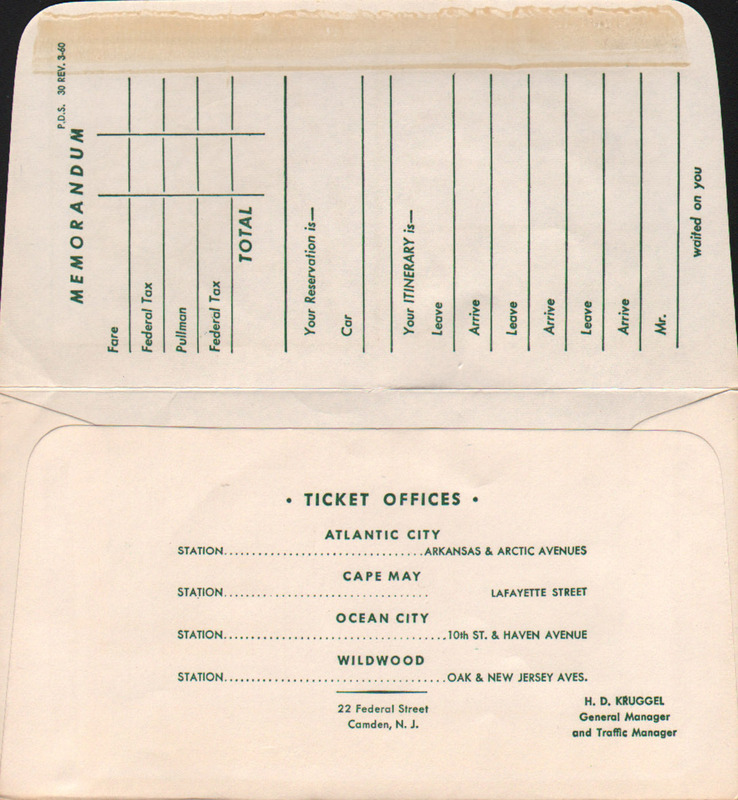 3-60 Ticket Envelope - No picture of Atlantic City on front.